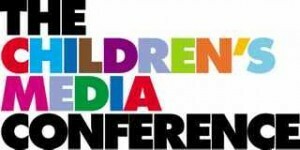 I had the pleasure of speaking at the annual Children’s Media Conference in Sheffield, this year helping budding writers and producers craft the perfect show bible. The “bible” in TV parlance is the document that tells everyone what the show is. It’s an essential document, and is the tool that ensures everyone on the show, from the broadcaster to the storyboard artist, is singing from the same sheet of music. We focused on character, character, character. Great to see so many awesome writers at the CMC! This sounds like an awesome workshop! Come do this in L.A!